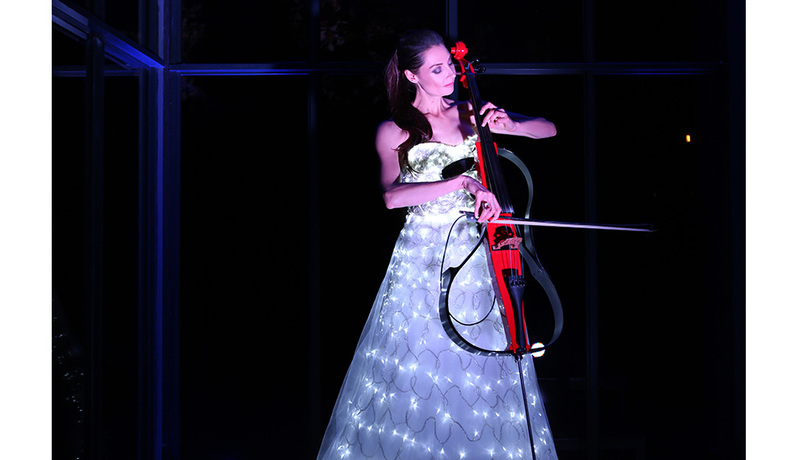 Elegant and eye-catching, The Galaxy Dress is a magnificent new corporate entertainment concept designed and created by Red Cello Productions. This labour of love includes nearly 1000 lights individually tailored to create a dazzling ‘fashion meets music meets LED’ effect. Our hand-picked performers are South Africa’s finest, and they deliver a bewitching performance that will have audiences scrambling for their phones.